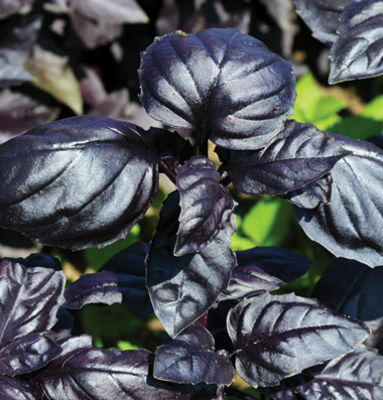 'Amethyst' The darkest purple basil available with ample, flavorful leaves. Nice thick turned down leaves like the classic sweet genovese. 60 days . 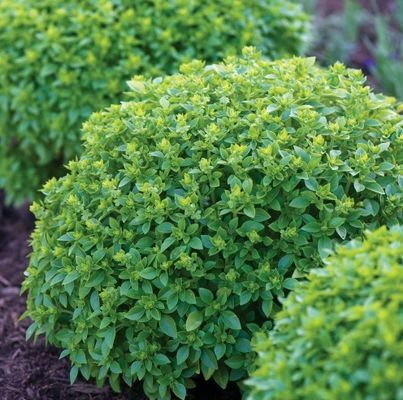 'Boxwood' This compact, small-leafed herb looks like a typical boxwood, and makes a highly ornamental and fragrant edging for the patio or a container by the patio door. Perfect for your fresh or cooked culinary dishes. H 12 to 16". 'Spicy Globe' Very compact (6" high, 12" around) and mound forming, ideal for containers. Intense, spicy flavor packed in tiny spicy leaves. 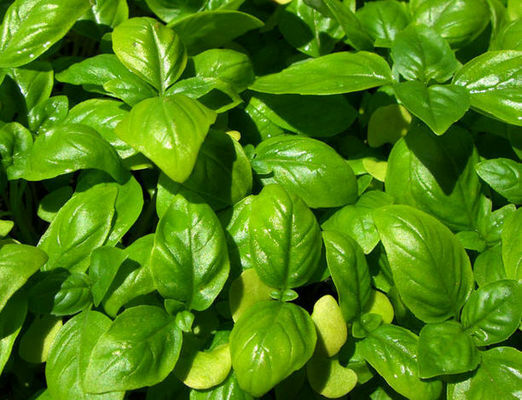 'Sweet' Perhaps the most popular and widely used culinary herb. It is a tender annual, aromatic plant with a spicy odor and flavor. We grow a couple of different 'sweet' varieties dependent upon the time of the season and the weather conditions. 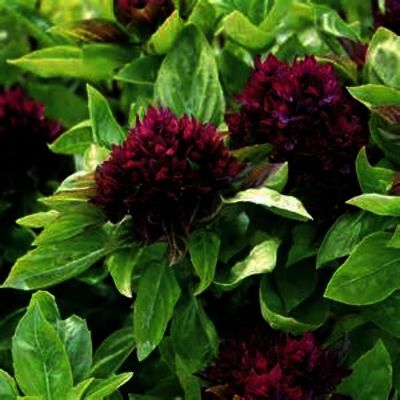 They are compact, 12-14", will thrive well in containers and the garden. 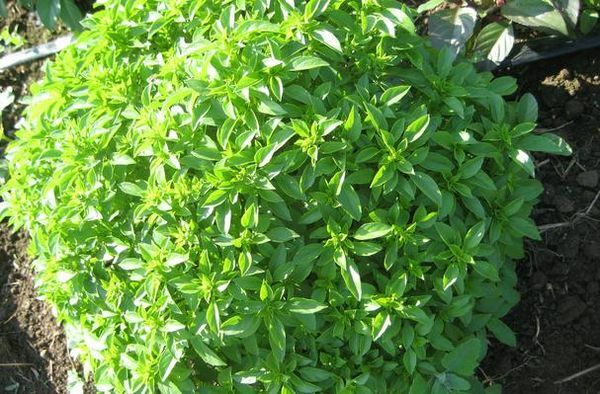 'Sweet Mammoth' 'Sweet Mammoth' has a much stronger, fuller flavor than 'Genovese' sweet basil. 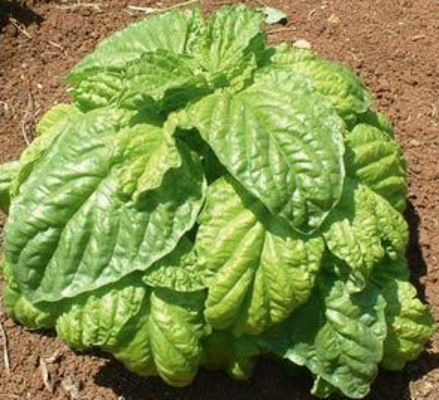 Huge leaves, growing as big as your hands, are perfect for sauces, pesto and even fresh on a sandwich. Great for pots and growing indoors, plants have a shorter habit. H 15-20"
BAY SWEET laurus nobilis An aromatic, evergreen shrub with shiny green leaves favored in Italian cooking. Grown in containers that can be brought indoors to overwinter. Full sun to partial shade and average, well-drained soil. Tender perennial.